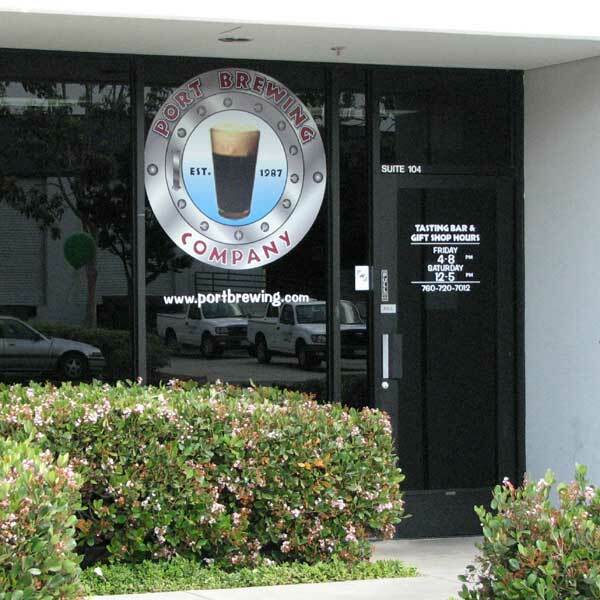 Port Brewing Co./Lost Abbey | Beer Blotter: Seattle based. World focused. The tasting room is closed to the public on Mondays and Tuesdays. Visit: After a trip to Alpine Brewing Co., my hangover started to subside. As one of my favorite breweries, I was so excited to visit Port Brewing Co./Lost Abbey during our SoCal trip. Most of their regular bottles (and occasionally special releases) are available for purchase in the tasting room. Prices range from $4.99 to $12. There is a 10% discount for full case (12 bottle) purchases. None. This is purely a place to drink beer. I honestly didn’t know what to expect from this brewery. With two labels brewed by the same man under the same roof, I wasn’t sure which label, if either, the ambiance and decor would favor. The overall ambiance reminded me of a Southern California, laid back attitude. The place has a garage door that remains open providing lots of fresh air and sunlight. In this warehouse, you feel close to where the magic happens and you even have access to the barrel aging room. Belly up to our 42 foot bar or one of our barrel tables and enjoy 20 taps of fresh Port Brewing and The Lost Abbey beers. The tasting room offers individual tastings as well as (semi) structured flights of our beers. Tasters are $1 each per 4 ounce glass; Tasters are also available in pint-sized portions for $4 to $5 per glass based on the beer (some special releases may be more). Yes, $1.00 tasters. A great way to try several, if not all of the beers on tap on any given day. Today we were greeted by a lively, ball busting bartender, who was very informative and even gave us a taster of the one year old Red Poppy. Red Poppy is Lost Abbey’s Kriek and is aged for two years before distribution. It is so damn good. We each ordered a Mongo Double IPA and also got a taster of Santa’s Little Helper. All of the beers we had here were top notch. The people that work there love the beer, are passionate about the mission of the brewery and are willing to share this love with just about anyone who pulls up a barrel. Despite my hangover symptoms, I was in heaven, sitting in the place where these beers that I cherish and enjoy so much are brewed. It is a wondrous feeling, to be so close to the origin of something that brings you such pleasure. I enjoyed the simple decor, the breeze from the open door and the beer that never, ever disappoints!